Buchanan Galleries is delighted to be one of the first two major Scottish retail operators to confirm it is supporting Cup Movement® in Glasgow. Along with Glasgow Fort, Buchanan Galleries is backing this first Scottish initiative to stop single-use cups going to landfill or ending up as litter. 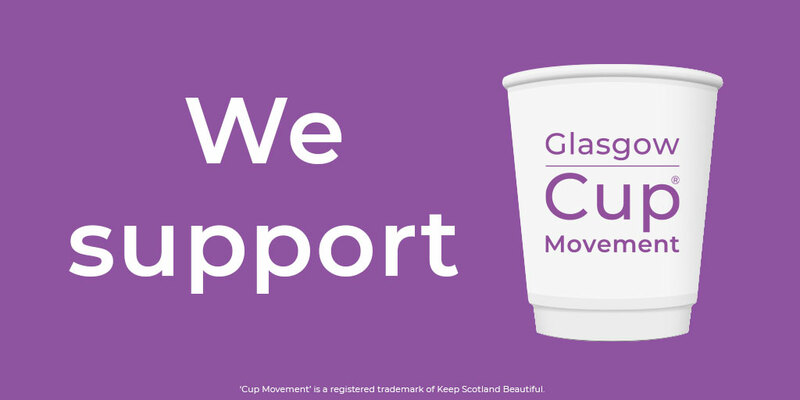 Launched in Glasgow in January, Cup Movement® has been developed by environmental charity, Keep Scotland Beautiful, in response to growing public concern about the environmental impact of single-use items. With an estimated 95 million single-use cups being used in the Greater Glasgow area every year, the pioneering Cup Movement® project will tackle this issue head on by transforming recycling infrastructure and encouraging people to adopt more sustainable behaviours. Buchanan Galleries and Glasgow Fort are backing Cup Movement® with opportunities for both customers and retailers to take part, and are signing up to Cup Movement®’s recycling service, provided in collaboration with Simply Cups, which will divert millions of cups from our bins and instead transform them into second-life materials. Cup Movement® aims to reduce single-use cup waste, by transforming recycling infrastructure, working with partners to install convenient recycling and cup collection points across the city and targeting the city’s thousands of regular cup users to make more sustainable choices. It will be the largest, sustained, cup waste reduction initiative of its kind in Scotland and, if successful, the model could be rolled out across many more cities in the UK. “We are delighted to welcome Glasgow Fort and Buchanan Galleries on board as supporters of Cup Movement® in Glasgow. We look forward to working with both of the centres, alongside our other partners, to deliver transformational change across the city. For more information about Cup Movement® in Glasgow visit www.keepscotlandbeautiful.org/cups.